Florida’s Highly Successful Gov. 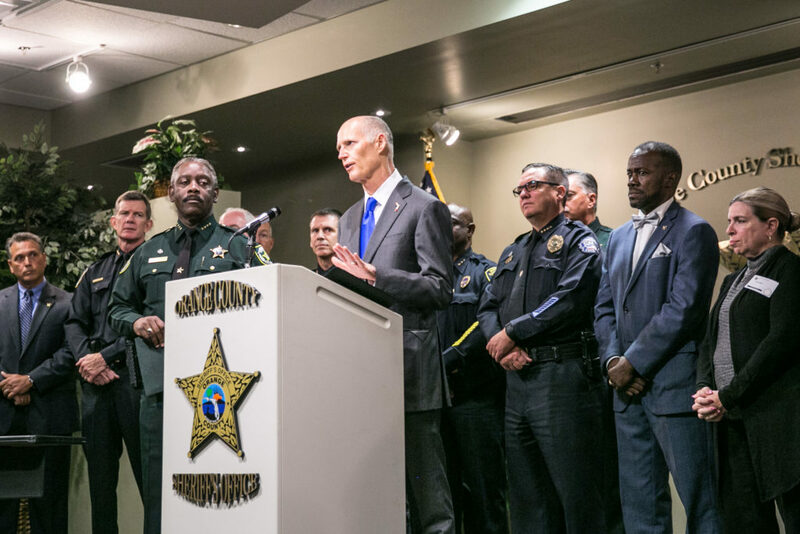 Rick Scott finally announced his long-awaited plan to challenge Democratic Sen. Bill Nelson. Now that the Republican governor is officially in, the Sunshine State is poised to host an expensive race with national implications. This race is unlike any other that Sen. Nelson has faced. Scott, who is personally wealthy, could not only invest tens of millions of dollars of his own money into the campaign, but also utilize national fundraising contacts as former chairman of the Republican Governors Association. In his previous two elections, Nelson was the beneficiary of some fortunate conditions and circumstances. In 2006, he came in as part of a Democrat wave election, and in 2012, President Barack Obama had his re-election machine running full throttle. Nelson has also benefited from facing two weak opponents. In 2006, Katherine Harris was infamously polarizing for her role as Florida secretary of state in the 2000 presidential election, and 2012 opponent Connie Mack, IV never received the outside Republican support he was planning for. On the pro-Israel front, Gov. Scott has done more to develop business, healthcare and technology ties with Israel than any other Governor in the country, and has also signed a series of bills to counter anti-Semitism, participation in BDS (the anti-Israel Boycott, Divest and Saction movement), and investment in terror-finance leader Iran. Sen. Nelson, on the other hand, has duped some Jewish supporters into believing that he is an Israel supporter, yet when “push came to shove”, in spite of Florida’s 500,000+ Jewish population, he voted with President Obama for the disastrous JCPOA, aka the “Iran Deal”. He has also cozied up with representatives of Muslim Brotherhood’s U.S. political/lobbying arm CAIR (Council on American Islamic Relations). American Principles will be “all-in” on this one to make sure that “Space Cadet” Bill Nelson (he is a former astronaut, after all) is headed to the Moon, or at least to the dust bin of political history.